DearMob's free iPhone Music Manager and iPhone Photo Manager can help reclaim more space for iOS 11 upgrade. With Apple's formal release of iOS 11 finally made available on 10 AM PST, September 19th, DearMob recommends its users to get some help from the gleaming free iPhone Photo Manager and iPhone Music Manager before upgrading to the latest version of iOS. For the often overfilled iPhone and iPad models, DearMob's free products can backup photos and music to computer or Mac, thus slenderizing iPhone memory for the anew prominent iOS upgrade for good. This major iOS upgrade event, portrayed by Apple as "A giant step for iPhone", is going to excite millions of users except for only a few who are unable to upgrade at all due to the "Not Enough Storage on iPhone" problem. 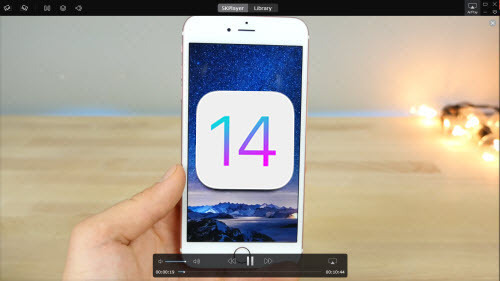 That been said, the free iPhone Photo Manager and iPhone Music Manager are equitably effective to transfer photos and music from iPhone, iPad to computer or Mac, thus preparing iPhone to jump to iOS 11 free of burden. Back in June when iOS 11 developer beta was released in WWDC, DearMob's diligent team of developers started to engage actively in the Apple Beta Software Program to better adapt the two products for iOS 11 compatibility: To date, against many iPhone file transfer tools out there in the market still relying heavily on iTunes, user can stay with the best iPhone music manager and iPhone photo transfer software to easily transfer photos and music between iPhone, iPad and computer without iTunes, while also offering other nifty little overtures like creating ringtone for iPhone. "It usually takes 30 minutes to hours for the latest version of iOS software to be successfully installed, but if you reclaim more space for the device beforehand, things runs much faster." Designated to help transfer photos and music between iPhone, iPad and Mac, Windows, DearMob's iPhone Photo Manager and iPhone Music Manager can not only help the stuffed iPhone out for the iOS 11 update, but also add music, play lists, or ringtones to a new iPhone from computer or Mac as easy as breeze.